Treasury Secretary Steve Mnuchin said Sunday that the U.S. and China -- the world’s two biggest economies -- have reached a tentative deal to cut trade deficits that includes the U.S. putting China tariffs on hold, an agreement that potentially averts an economic standoff that would have global impact. 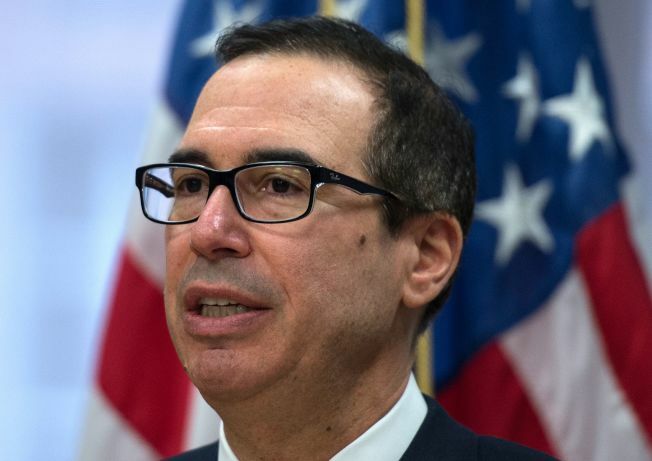 Mnuchin, who was the country’s lead negotiator in the talks, said the tariffs will be put on hold while the countries try to execute the framework agreement. Trump, since his 2016 presidential campaign, has argued that the United States must renegotiate trade agreements with China and other countries to become more competitive in the global economy. And he has complained about China violating international property laws. Trump on Friday called the existing U.S.-China agreement "bad for our country” and said, “We're changing it around." On Saturday, the White House said, in what it called a joint statement, that the U.S. and China had agreed to take steps to reduce the deficit. The statement essentially highlighted the same points Mnuchin mentioned Sunday and that next steps include the U.S. sending a team to China to work out the details. After the White House announcement, Senate Minority Leader Chuck Schumer suggested the agreement falls short on protecting America’s intellectual property. Schumer also argued that the tentative agreement announced Saturday did not address the issue of Chinese phone-maker ZTE violating U.S. sanctions on doing telecommunications business with Iran and North Korea.